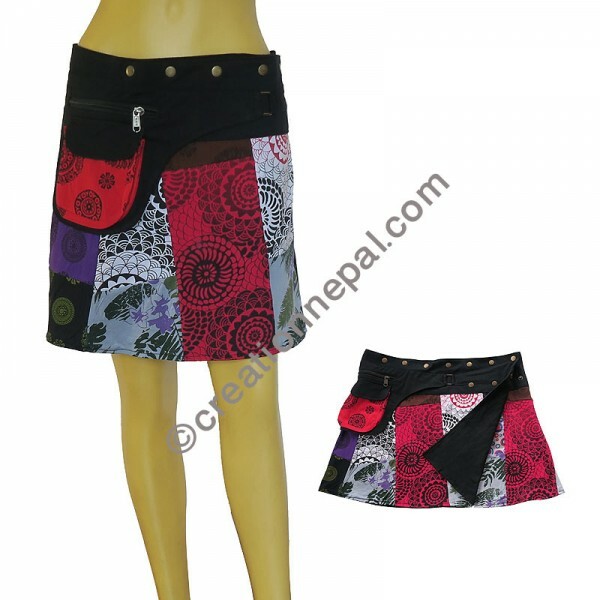 Stretchy cotton beautiful printed colorful patch work waist press button adjusted skirt with a unique hanging pocket on the waist. 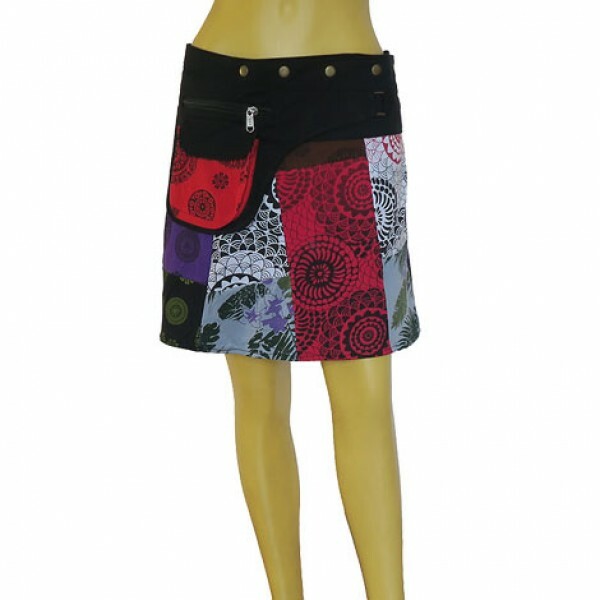 Since the Flower printed reversible skirt is entirely handmade, the measurement and prints colors may vary in every order. The weight of the skirt is calculated for the shipping purpose, hence the actual weight can be different than it is mentioned here.